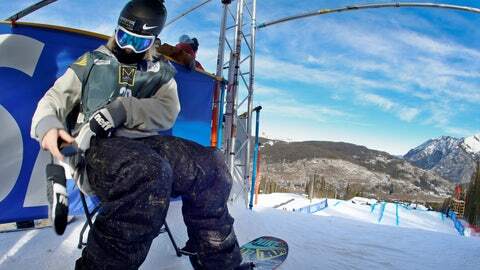 The new sport of slopestyle will make its Olympic debut at the 2014 Sochi Games. Bob Costas has generated a lot of buzz in the world of slopestyle, not all of it good. This week, the NBC studio host appeared on the "Today" show and talked to Matt Lauer about the ski and snowboard event that will make its Olympic debut at the 2014 Sochi Games. In case you’re not familiar with slopestyle, it involves a downhill run marked by various features such as jumps and rails. Athletes are judged on creativity as they descend. Costas compared it to the MTV show "Jackass" with all its stunts and pranks. "I think the president of the IOC should be Johnny Knoxville," Costas said, laughing. "Basically this stuff is just ‘Jackass’ stuff they invented and called Olympic sports." "I mean that in the kindest possible sense," Costas added. In the days since that remark, people in and around the sport have not been as kind in their reaction, calling Costas a jerk, among other things.